Site supervisors are responsible for safeguarding the well-being of all workers on a job site. When the job site is located in an area where pedestrians pass by, the safety of those individuals is also paramount. Sidewalk canopies can be erected around the scaffolding to protect pedestrians passing by from physical trauma caused by falling objects. The scaffolding rental company you use will be keenly aware of all applicable safety requirements and can answer any questions you may have about compliance. What’s the required load for the decking? The local building code will specify the required load capacity for the decking. In many cases, the load capacity must be at least 150 pounds per square foot. To meet local requirements, the scaffolding rental company may recommend using a double layer of decking. Another option is to use stringers and joists and then set up the decking. How can I protect the canopy from vehicular traffic? One of the many concerns that site supervisors have is the possibility of a vehicle traveling too close to the canopy legs, potentially striking them and causing a collapse. The approach you’ll use to prevent this problem depends on how close the legs are to the road. If there’s enough space, you can place concrete barriers between the legs and the road. Otherwise, it may be necessary to close one lane of traffic and erect the concrete barriers in that lane. Are there any requirements for building access? Yes, the bracing system must feature openings at the building’s doors. It’s essential that emergency exits not be obstructed. Additionally, site supervisors must ensure that the clearance of the opening meets municipal fire or building codes. Scaffold Resource is operated by a team of highly experienced and knowledgeable professionals, who put safety first at every job site. 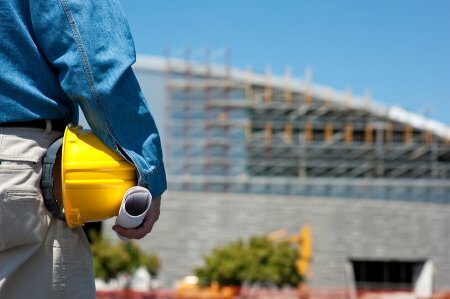 We understand OSHA regulations and municipal building codes inside and out and will ensure your job site is in full compliance. Call (301) 924-7223 to discuss the arrangements for your sidewalk canopy in Washington, D.C.
What Are the Challenges of Installing Scaffolding on the Chesapeake Bay Bridge? Scaffold Resource specializes in providing clients with scaffolding rental for a wide range of projects. Some of the types of scaffold projects we have worked on include everything from new construction and movie sets to historic restorations and national treasures. We’ve also worked on many signature products, including scaffolding for the Chesapeake Bay Bridge. The Chesapeake Bay Bridge project presented several challenges, including the design and installation of scaffolding over active traffic, over a 37-foot wide roadway, and that could withstand wind gusts of 100 miles per hour. Also, the delivery of equipment for this scaffold project needed to be done via barge. The project involved the installation of a 323-foot tall suspension tower designed to support contractor work for lead paint abatement, blasting, and painting. 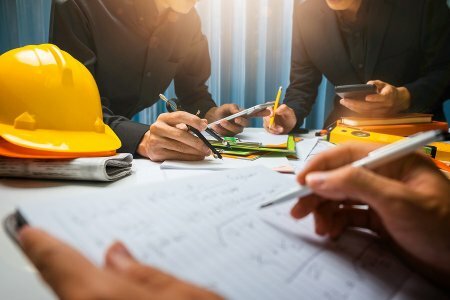 If you need scaffolding rental in Washington, D.C. , then look no further than Scaffold Resource, where we offer a broad range of scaffold products, and our experienced staff can help you choose an option that meets the unique requirements of your project. To get started, please call (301) 924-7223. What Is Code-Compliant Wall Bracing? Understanding and properly applying the International Residential Code’s bracing provisions can be challenging, and understanding the placement of braced wall lines can also be difficult. Watch this video to learn how to establish code-compliant wall bracing using the APA simplified wall-bracing method. The APA simplified wall-bracing method involves 4 steps. Scaffold Resource is a premier source for scaffolding rental and shoring systems near Washington, D.C. To learn how we can assist with your next project, please call (301) 924-7223. Do you need to rent scaffolding for your upcoming project and want to get your team trained on safe scaffold use? If so, then consider working with the experienced staff at Scaffold Resource . We are experts when it comes to scaffolding rentals and safety and, in 2015, we accomplished the rarely-achieved “1.6 Million Man Hours Worked Without A Lost Time Injury” milestone. Read on to discover more. If you want to help ensure that your workers stay safe at the worksite, then consider working with Scaffold Resource. We can create a custom program that is designed to suit your team’s specific needs, help prevent injuries, and create hazard awareness. Let the experts at Scaffold Resource train your team on proper scaffold safety and more. Call (301) 924-7223 for more information about our training services and scaffolding rentals in Washington, D.C.